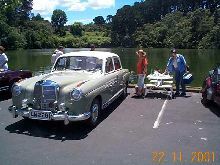 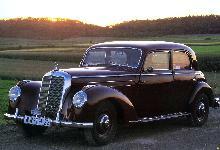 The first post-war, mid-sized saloon from Mercedes entered production in 1951, the 220. 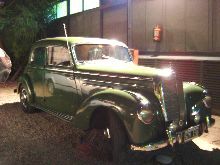 The 220 featured traditional styling reminiscent of the smaller 170 model, although it did manage to incorporate faired-in headlamps. 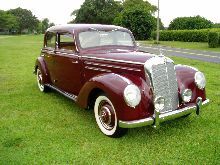 Although most examples of the 220 were built as four door saloons other bodies were also available including fixed head coupe and cabriolet styles. 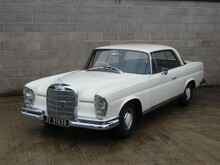 Despite its sedate appearance the 220 could reach 90mph with ease, thanks to its powerful 2195cc six cylinder engine. 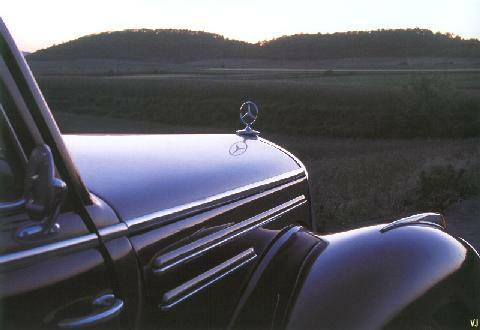 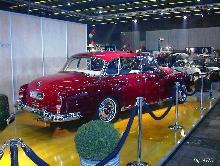 Production continued until the arrival of the new 220 model in 1956.